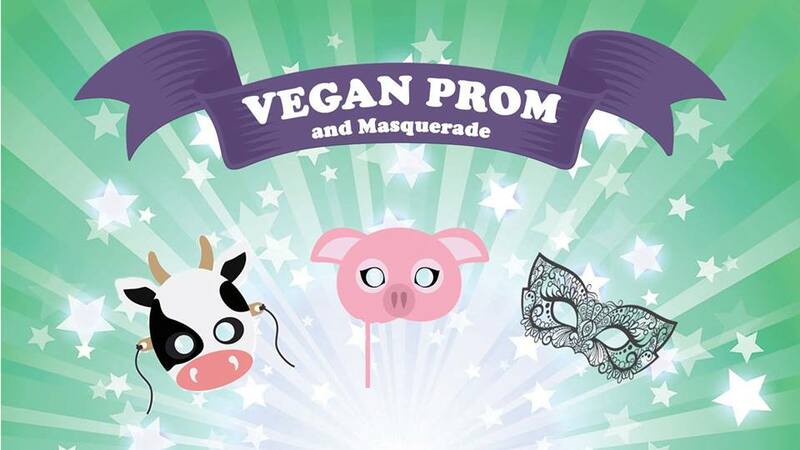 You are invited to our 1st annual Vegan Prom, Masquerade! Put on your dancing shoes and join us on Saturday February 9 to tear it up on the dance floor in support of Vegtoria 2019! There will be a photo-booth, raffle prizes, treats, music, and more! Put on your best face, costume or cape, come as you are, as a beast or a star! Whatever you do, get ready to have some fun! Make sure to get your ticket online while they last in support of our biggest vegan festival of the year! If you can’t purchase tickets online, please contact us. *Costumes are strongly encouraged, but not mandatory. Everyone is welcome, however, to keep this event in the spirit of kindness toward animals, we ask that costumes are free of animal products such as feathers, leather, fur, silk or suede. -The front door of VEC has a staircase with ~20 steps. The elevator is currently under renovations. -The washrooms will be gender neutral for the event. We would like to acknowledge that VIVA organizes their events on the unceded Coast Salish Territory of the Lekwungen speaking peoples, now known as the Esquimalt and Songhees First Nations. *Please don’t print your ticket! We will have your name on a list at the door!